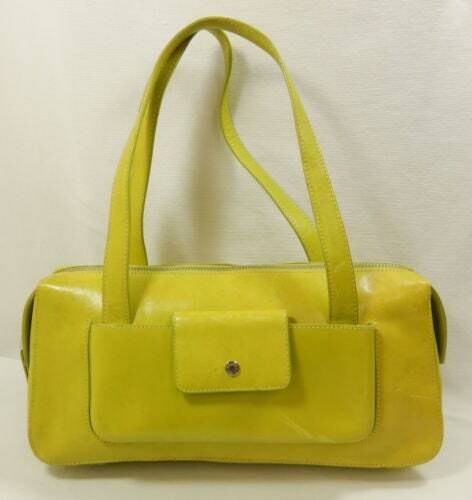 Known for their amazing leather bags that sold for hundreds, the Monsac company is out of business. 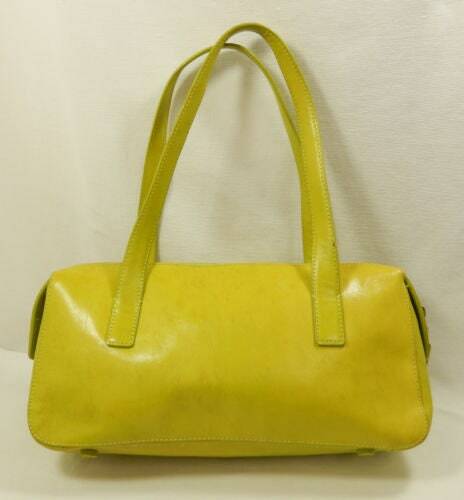 This cool yellowish green handbag is in great shape and a great deal. Coach-like appeal. 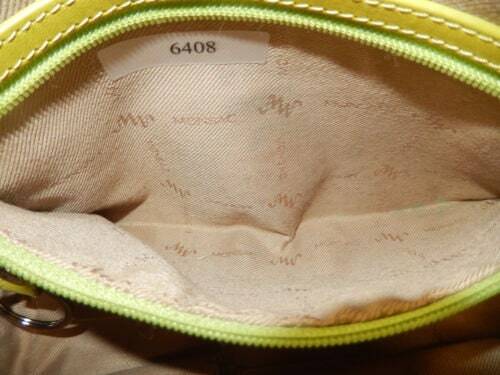 "Monsac Original" label, number 6408 inside the pocket and signatory "M" on bottom footings. 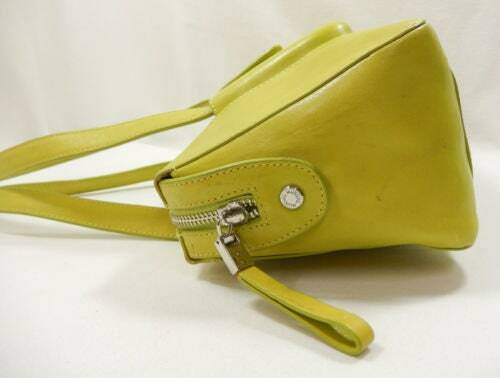 Flap close side pocket. Double handles with a 6.5 inch drop. 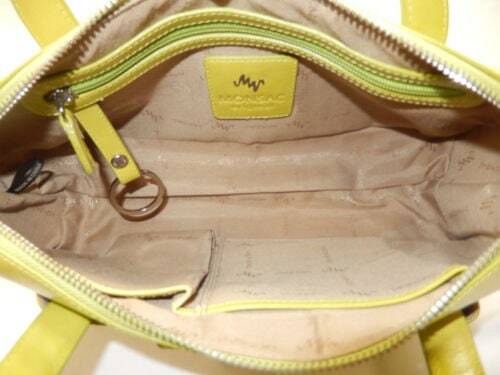 Metal zipper closure. Beige canvas lining. Leather and metal key attachment inside. 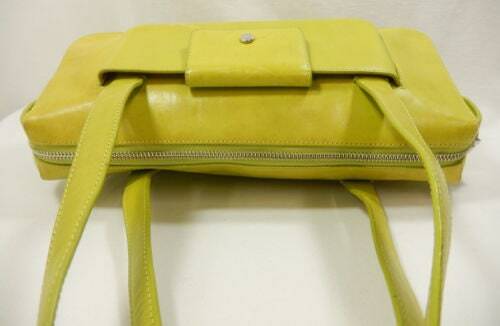 Two side pockets plus an inside zippered pocket. Dimensions: 12 inches long x 6.5 inches tall x 3.5 inches on the bottom.